Actually, I wish it had been that clear. What really happened is this: when he was in the 5th grade, he came home and said, “I got frustrated with the girls in my group today.” He explained that he was in a project group with 4 girls and they wouldn’t listen to any of his ideas. When they finally did let him talk for a few minutes, they told him that his idea didn’t make sense and they moved on with their own ideas. A few days later he came home angry. He said that he was paired with the same group of girls and the teacher wouldn’t let him move to another group. A few days after that, he came home and said that his teacher doesn’t like him. In hindsight, this is when I should have headed to the school to figure out what was going on. But the first half of the school year had gone so well. We had had a parent teacher conference just a few weeks prior. His teacher was an African American woman who knew our family and she had been clearly impressed by our son’s academic interests. So his stories seemed like normal boy-at-school stories and I wasn’t alarmed…yet. Over the next few weeks, my son was generally irritated when he’d return home from school. When prodded, he said everything was fine. And then one day he came home and said, “I don’t think I’m as smart as the other kids in my class.” An alarm finally went off in my head and I planned to walk into his class unannounced the next morning. My husband and I are a middle class, interracial couple. I’m a Jewish, female engineer and I run a software engineering firm. My husband is a Black man with a PhD in Education and teaches at the University. We’re a communicative family with a keen focus on our children’s education. But it took us three weeks to translate that our son’s behavior had changed and, in that short period of time, he went from being a confident scholar to a disgruntled, insecure learner. I learned later that the student teacher had taken over the class three weeks prior while the homeroom teacher spent most of her days outside of the classroom managing the school-wide science fair. In a nutshell, here’s what had transpired. My son’s class was 65% White females. He was one of three Black boys in the class. He was an introspective, bright kid and deliberated excessively before speaking. During the first half of the school year, while the experienced, Black teacher was in charge of the class, the three Black boys were typically put into groups together for camaraderie and given frequent encouragement from the teacher. For example, they had each given presentations in front of the class about topics they were interested in, as did several of the White students. There had been an incident early in the year when our son had felt frustrated because the girls wouldn’t listen to his ideas, and his teacher helped him navigate the situation by having everyone in the group write down three ideas, put them in a pile, and then pull them out one by one for consideration. When the science fair planning went into full effect, the teacher found herself out of the classroom most of the time, leaving a young student teacher alone to manage the classroom. The student teacher witnessed our son several times trying to get a group of girls to listen to him and she responded to him as if he was a disruptive, aggressive boy who didn’t want to learn. It took her three weeks to damage his self confidence and get him to believe that he was bad and less smart. Once we figured out what was going on we expected that we could explain it to our son and repair his image of himself. But we couldn’t. He was changed and believed he wasn’t smart. Because my husband and I have resources and the confidence to take matters in our own hands, we started a year-long school for six sixth-grade black boys, all of whom had had their spirits damaged in traditional school settings. The school was located on the campus of a top tier university. The instructors were college professors and grad students. The curriculum included latin, hip-hop poetry, history as written by African American scholars, martial arts, computer programming, as well as math, english, and science. There were lectures on how society sees Black boys. The boys attended lunch-n-learn sessions on campus and, when they asked questions, they experienced positive response from the college students, which built their confidence. There were three basis strategies that defined the school model. The learning environment must be comfortable for the learner rather than being based on what makes the instructors comfortable. For example, the students could walk around while the instructor lectured, or lay on the table or jump up and down when they got excited to ask a question. The students met with their counselor every single morningto uncover any feelings or outcomes from the prior day that could impact their ability to engage. The students would be called Scholarsand be wrapped in content written by and reflective of Black people. Because my husband and I are privileged in many ways we were able to take time off work to witness what was going on with him and to start a school to reconstruct the image of our son. But the majority of Black families don’t have the luxury of doing any of this. My husband has often talked about the phenomena of Black boys losing interest in school (or schools losing the interest of Black boys) in fourth and fifth grade. Families raising Black boys, and other minority students, have to be analytical and strategic throughout their child’s schooling. You have to look for subtle changes in your child. Question typical teaching methods. Look for ways to incorporate Black studies in your child’s education. And push the status quo — work toward changing our traditional schools in ways that will be inclusive and embrace and highlight the scholarship of our non-traditional students. 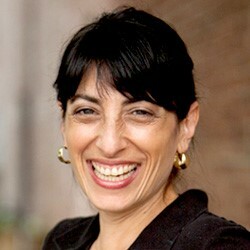 Lori Patterson is co-founder of Pixo, a software engineering consulting firm established in 1998. She is a Mechanical Engineering graduate from the University of Illinois. Lori can be found at her blog: medium.com/@lorigoldpatterson and on Twitter at @lorigpatterson. This entry was posted in Community Forum, Education, Women. Bookmark the permalink.